The Church, established in 1923, was built in Neo Romanski-style (from the 12th century), with a wide columns' yard by a model made for a church in France. On the roof of the church there's an impressive statue of Jesus the Adolescent. The Basilica's large space, its acoustics, and the magnificent vitrage works creating a colorful game of lights, create a special holy atmosphere and make this church a popular site for liturgy concerts. A picture of Jesus the adolescent walking through Nazareth hills, hang above the altar, intensify the sacred feeling. 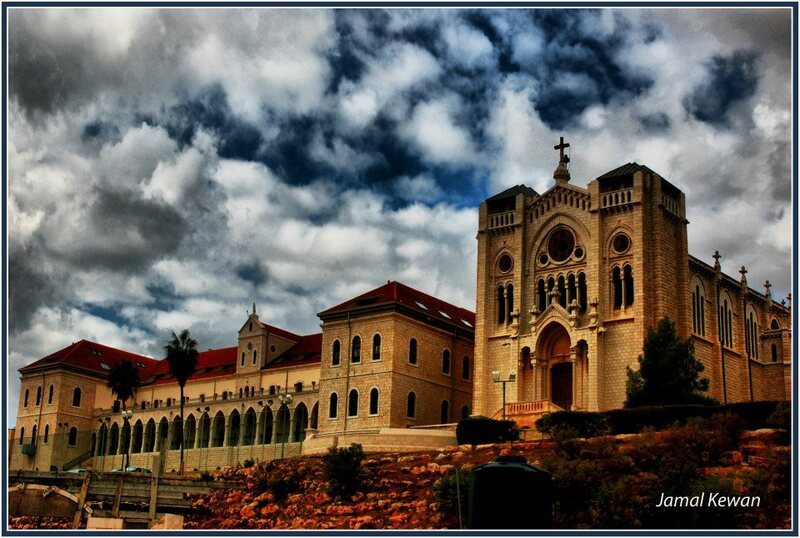 Salesian priests were taking care of orphan kids in Nazareth starting the end of the 19th century. They were working in temporary structures in town sponsored by France and were assisted by the French Embassy in Turkey. 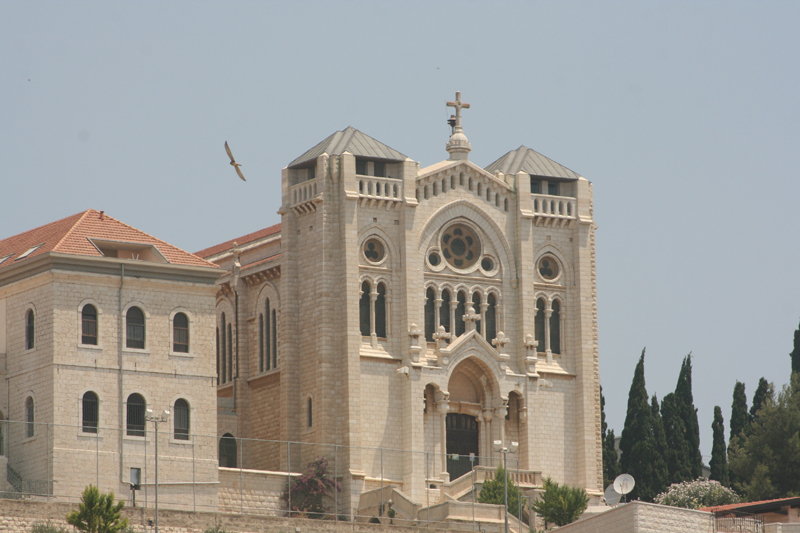 In 1902, the Orphanage impressive building was established, which is next to the Salesian Church on top of Nabi Sa’in ridge. 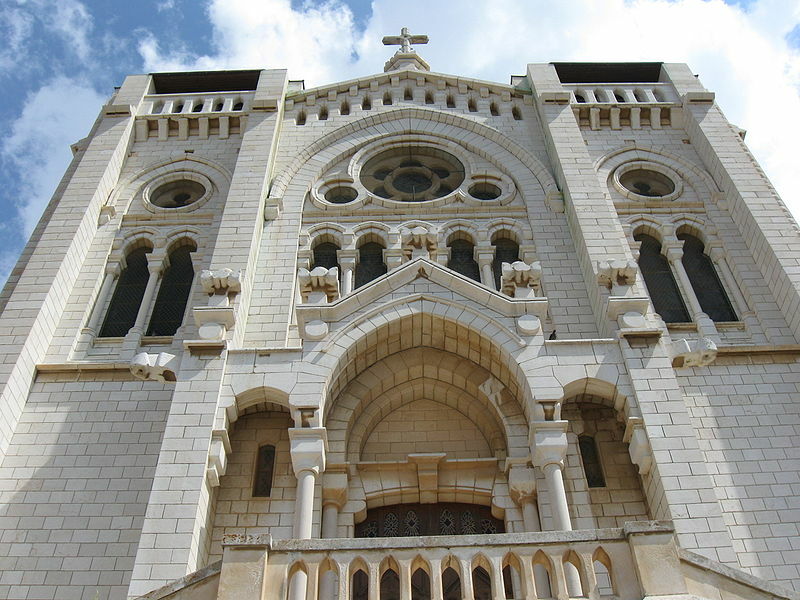 In 1905, a French religious scholar named Caron has arrived to the city from Versailles and donated a large sum of money that would pay for establishing the Salesian Church next to the orphanage. Among the other French and Belgian donators, we should also mention a French widow named Charlotte Di Schibbi, wife of Louis Foache (a commander in the French Army), who wanted to commemorate her husband’s name in the church and be buried there next to him. The couple were indeed buried there and their names are engraved in the memorial area. 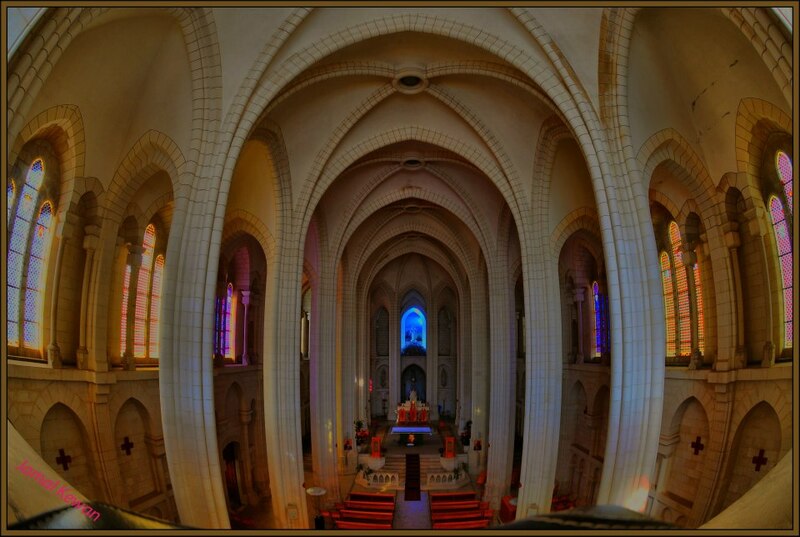 The church was designed by the French architect Lucia Gauthier, and the impressive vitrage in the French flag colors, made in Versailles in France, is a sing of the church’ builders’ origins. The orphanage is used today as a vocational high school named after Don Bosco, the founder of the Salesian order. In addition, a nice convent for the Salesian Sisters was built next to the church. A great place to visit with all the old ruins they found and the story of history it’s a special place. The view from there on the lake galilee is great. Also the garden around this church is amazing. It was a blessing to sit in the church and worship God. You feel so close to the Lord. Cannot really explain it to somebody else. 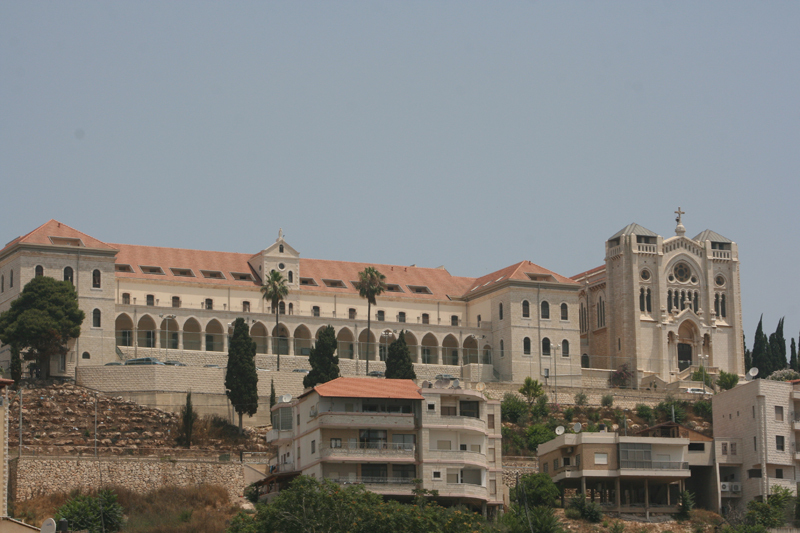 One of the best places to view Nazareth fro above. Breadth taking. 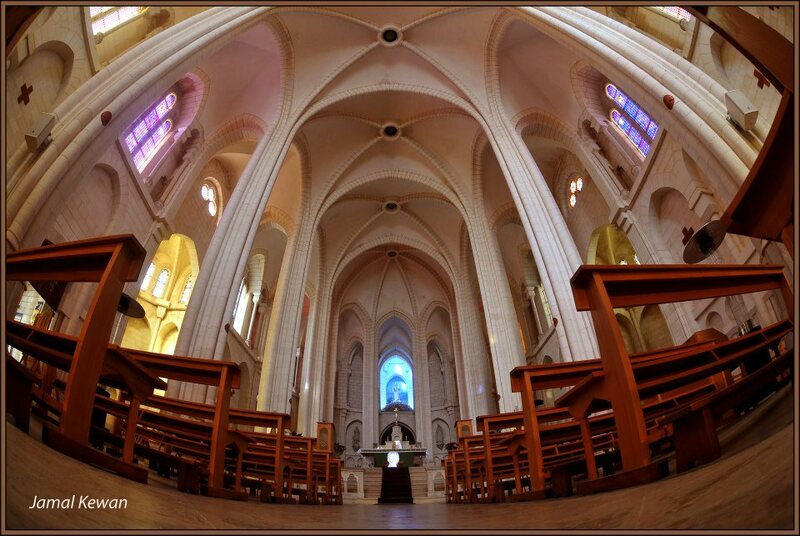 The best view is from the church entrance. Then the church itself is Magnificat!